#TeamKindness – Hello, I'm DK – justadandak.com – creative producer and speaker coach. 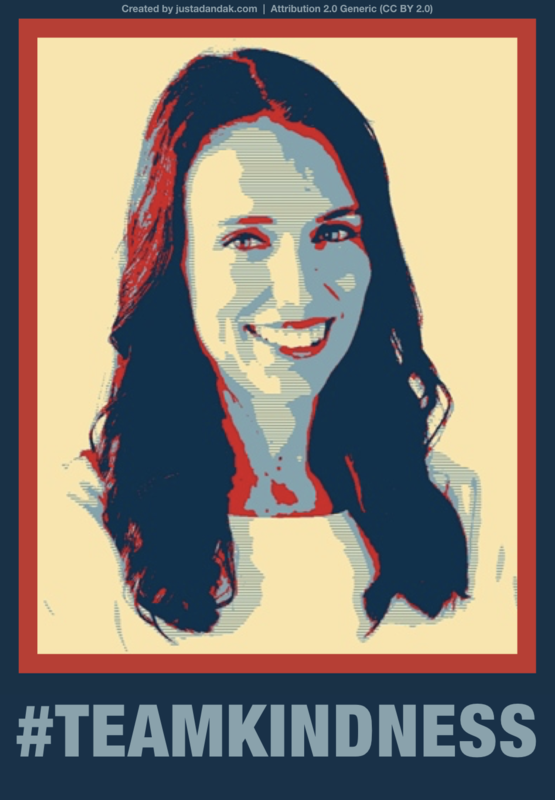 October 2, 2018 in category insights, random, smile, think tags #TeamKindness, Jacinda Ardern, kindness, New Zealand, NZ, Trump, UN General Assembly and 6 comments. If I could distill it down into one concept that we are pursuing in New Zealand, it is simple and it is this: kindness. In this time of hollow nationalism and fracturing distrust, a call for compassion, togetherness, thinking of the other truly is unusual and all the more important as we struggle forward in these dark times. Sign me up for ‘team kindness’. Who else is with me? Hat-tip Shepard Fairey plus large image for downloading / sharing on.